Are you experiencing pain with movement around the shoulders or hips? Muscle Imbalance surrounding either the hip or shoulder often results in painful inflammation known as bursitis. When swelling and repetitive strain occur in the protective tissue known as the bursa, pain and difficulty initiating movement occur. 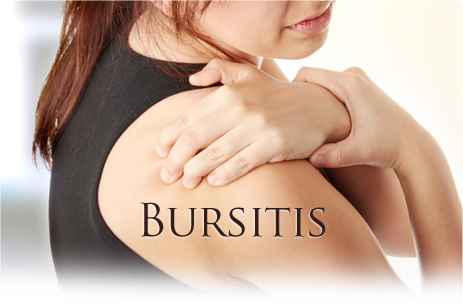 With Integrative healthcare options, bursitis can be treated without painful steroid injections or expensive medications. Our doctors offer effective pain relief techniques and integrative knowledge of muscle activation to reduce your imbalance.